Starting the process of tooth decay is plaque formation. Plaque is a big part of tooth decay. Plaque is a sticky film that coats teeth and contains bacteria. Plaque develops when foods containing carbohydrates, sugars and starches. 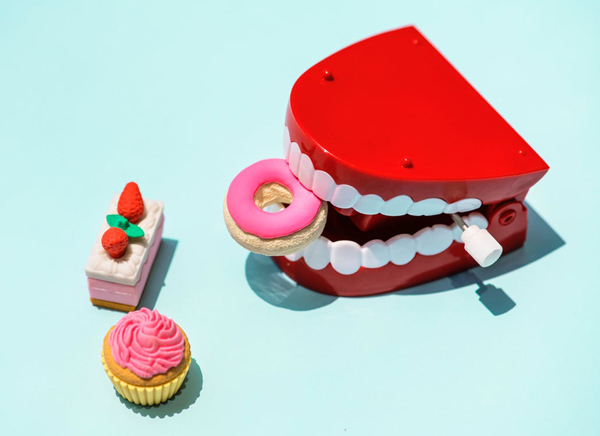 Foods and drinks like Milk, Soda Pop, Ice Cream, Dried Fruits and Candy can be a leading cause of plaque build up and if not treated can result in tooth decay. 1. Food is consumed and begins the process of breaking down into carbohydrates. 2. The carbohydrates then combine with the bacteria in your mouth that is naturally produced from the acid your mouth creates. 3. The acid that is produced in your mouth then combines with the small leftover pieces of food creating a thick and sticky paste, Plaque. Demineralization is a chemical process by which minerals (mainly calcium) are removed from any of the hard tissues: enamel, dentine, and cementum. The bacteria that produces plaque is nourished and supported by the carbohydrates, mainly sugars, that you consume. Poor dental hygiene can also support the bacteria to thrive without interruption which is why good dental hygiene is important. The acid that is formed when the bacteria is combined with the carbohydrates gradually eats away at the enamel that protects your teeth. This is the process of demineralization. 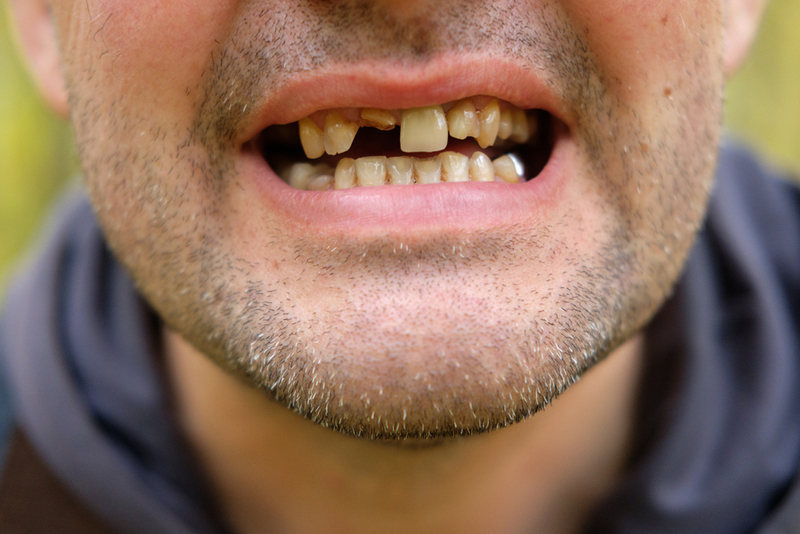 The first stage of tooth decay is an initial lesion forming on a tooth. This typically shows up as a darkened area around the tooth, usually a brownish color. Some assume with the discoloration that a cavity has formed but at this point you have a fairly high rate of reversing the decaying process. Cavities take time to form and start as tiny holes on the enamel of a tooth which compromises the hard surface. When the bacteria and acid build up over time it eventually penetrates through what’s left of the protective enamel and forms a cavity. Cavities can not only be painful, they can also cause bad breath. Taking care of your teeth is imperative if you don’t want to be plagued by toothaches and a foul mouth. Cavities will require dental fillings. Without treatment the cavity will progress through the tooth deeper and deeper until it reaches the “Tooth Pulp”, a soft tissue that lies underneath the dentin. The pulp contains the blood, supply, and nerves for the tooth. Pulpitis is an infection that causes painful inflammation of the pulp. It can occur in one or more teeth, and is caused by bacteria that invade the tooth’s pulp, causing it to swell. The blood vessels inside the tooth are cut off from the swelling causing the pulp to die which results in severe pain. Pulpitis may lead to a type of infection called periapical abscess. This infection develops at the root of the tooth, where it causes a pocket of pus to form. If not treated, this infection can spread to other parts of the body, such as the sinuses, jaw, or brain. With the results of infection and disease, one of the most common known diseases related to tooth decay can go by many names. Gum Disease, Gingivitis, and finally Periodontitis. Though all are very similar, let’s clear up the differences. Gum Disease – A Synonym of “periodontal disease”. Periodontal Disease – A condition in which the structures surrounding the teeth (gums, jawbone) become infected. Gingivitis – An early form of periodontal disease which is not only treatable, but reversible. Periodontitis – What gingivitis turns into, and is the latest stage of periodontal disease. Periodontitis is not reversible, but it is treatable. Periodontitis, also generally called gum disease or periodontal disease, begins with bacterial growth in your mouth and may end — if not properly treated — with tooth loss due to destruction of the tissue that surrounds your teeth. Gingivitis is usually a result from poor dental hygiene, so to avoid developing Gingivitis make sure to keep good dental hygiene. A hormone reaction is caused by this buildup of plaque and can cause inflammation and irritation in the gums. With this reaction you will notice that your gums are more prone to bleeding very easily. Without proper treatment and reversing the Gingivitis the gums will have become so inflamed that the gums will no longer be healthy enough to hold the teeth in place as they were before. The gums will begin to recede and the teeth will become loose. Tissue damage will begin to set in, and erosion will occur in different areas of the jawbone. With your mouth more prone to infection and disease, the formation of pockets of bacteria and food particles will form and build up toxins that will be able to break down the rest of the healthy tissue. Within last stages of the periodontal disease, the toxins can enter the bloodstream leaving you at a great risk for a heart attack or even a stroke. Common symptoms at the end of periodontal disease leave you with extreme tooth sensitivity and the loss of teeth. 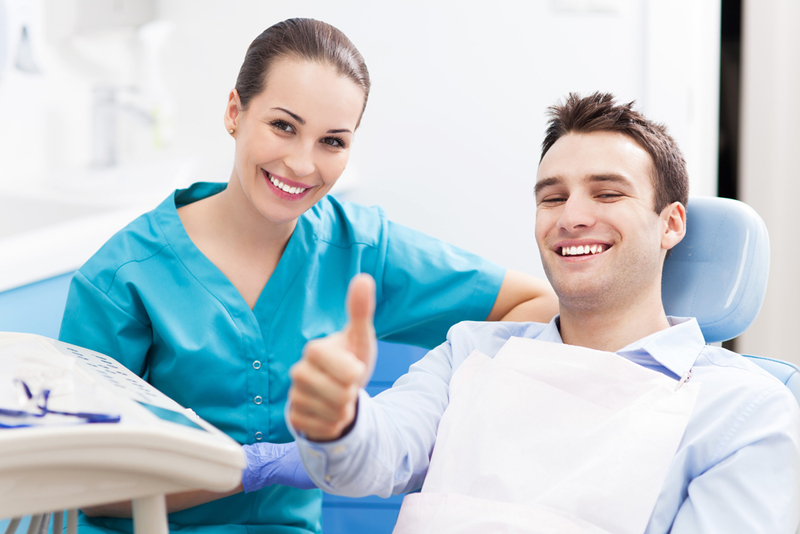 When caught early, Periodontal Disease can be treatable and can be reversed. Your dentist will know best on what steps to take on treating the disease and instruct you on the appropriate dental hygiene habits help stop and reverse the periodontal disease progress. If the periodontal disease is in the later stages your dentist can help treat the disease and lessen the symptoms from it.